CIS recording systems are officially certified by Cisco as supporting all it’s unified communication system. If you’d like to read the certification, download or share- please click here. Cisco is one of the most popular and advanced providers of information technology since 1984. As a part of the company progress throughout the years, Cisco established the “Cisco Solution Partner” program in order for call and screen recording companies to adjust themselves to be compatible with Cisco’s systems. 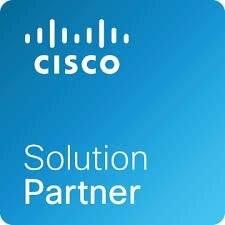 CIS is a proud member of the “Cisco Solution Partner” program. CIS leads 100% interoperable integration and cooperates with many of Cisco’s channel partner to provide the best solution for customers. CIS establish and manage advanced call and screen recording solutions and quality management for call centers. 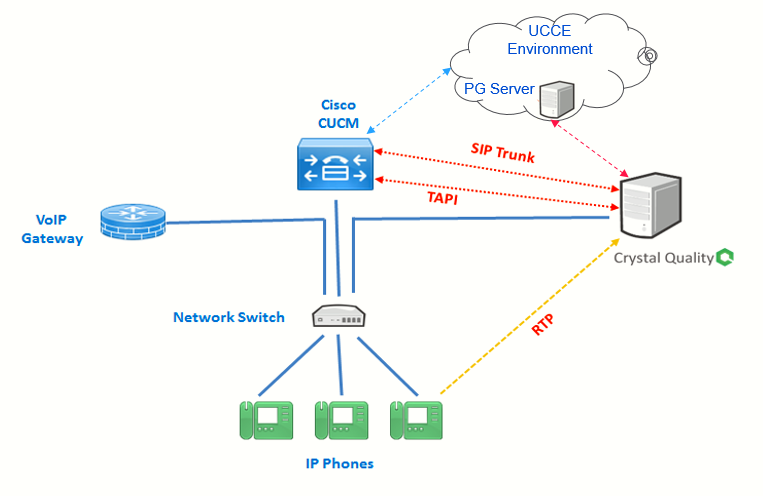 The solution is fully integrated with all Cisco’s platforms, such as Cisco CUCM, UCCX, & UCCE. Crystal Quality Call recording and monitoring solution provide proven integration with Cisco Unified Communications Manager platform and support both advanced Active call recording and passive span call recording configurations to perfectly suit a wide range of customers using Cisco communication platform. Support any version of Cisco IP phones. 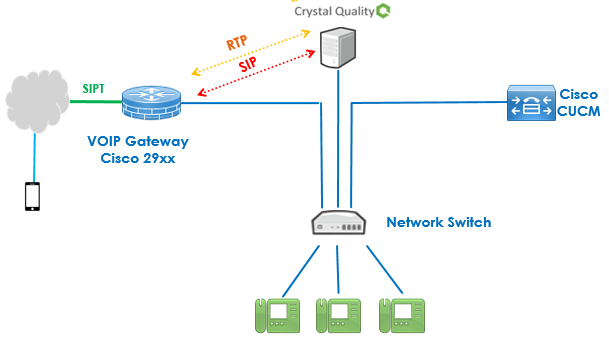 Required a configuration of port mirroring (SPAN) on the network switch. 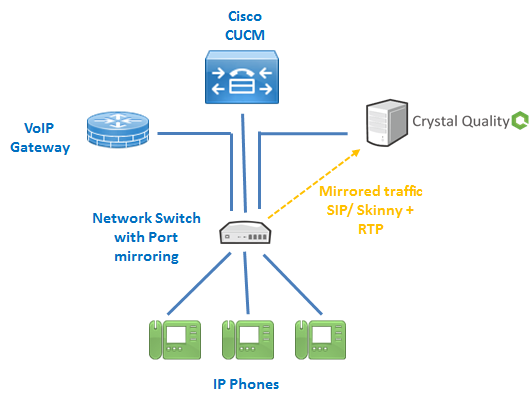 The switch mirroring to Crystal quality call recording system the signaling (Skinny or SIP UDP or SIP TCP) and the voice (RTP) packets. Generally used in SMB and small Call centers environments, simple network configuration, no need of CTI information, uses on/off-hook events to start and stop recording. Doesn’t matter it is static IP or DHCP environment, Extension Number, MAC Address, IP address, only one of them is good enough to map the VoIP data stream to physical agent stations or extensions. Free seating is supported on passive mode. Active Recording mode in Cisco environment resolves many limitations cited in using passive recording approach and it is the best solution for large sites or customers that have multiple branches. This approach offers some benefits where the IP phones are off-site or in remote locations, or in situations where the network solution would be overly complicated. It also greatly simplifies recording only external calls. 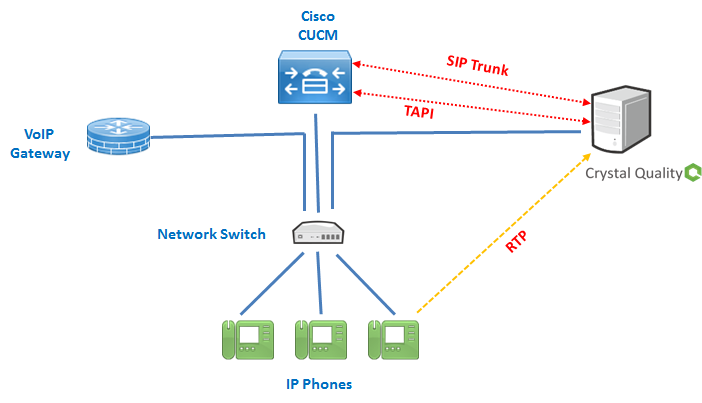 The stream received from the Cisco ISR that acts as the gate to PSTN but only when using SIPT or SIP connection to the provider. Crystal Quality Call recording and monitoring solution have proven integration recording cisco Jabber and jabber mobile. Please note in order to record jabber mobile CM and expressway must be updated to one of the latest releases. Crystal Quality Call recording and monitoring solution use the socket connect to the PG server. Call information is being collected from PG server like – extension, connectionID, AgentID, callerID, calledID, call direction, and rout call key id, rout call key day and more. CIS is a Cisco partner and has various integration solutions with all of Cisco’s communication protocols.